International industrials and metals group, Liberty House, has entered into exclusive negotiations with Tata Steel UK to acquire its Speciality Steels business for a total consideration of £100m. At the end of March, the Indian-owned steelmaker concluded that it was exploring all options for portfolio restructuring including the potential sale of Tata Steel UK, in whole or in parts. Following a board meeting in July, the steelmaker decided on a separate process for the potential sale of its Speciality Steels business, which until recently employed over 2,000 people at sites like Aldwarke in Rotherham and Stocksbridge in Sheffield. 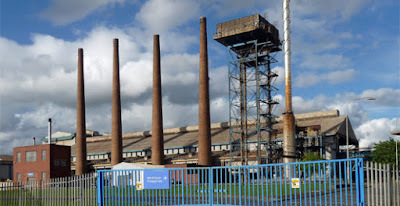 Tata confirmed the progress of its divestment of the Specialty Steel business and the pipe mills in Hartlepool in its financial results for the quarter to June 30 and it was revealed in September that two bids had been submitted for the speciality steel business in its entirety, including the two businesses in Rotherham (at Aldwarke and Brinsworth Strip Mill). Now Liberty House and Tata Steel have announced that a letter of intent has been signed and that they expect the acquisition to complete early in the first quarter of 2017. The acquisition would secure the jobs of around 1,700 steel-workers at major production facilities in Rotherham and Stocksbridge, a mill in Brinsworth and at service centres in Wednesbury and Bolton, plus thousands more in the UK supply chain. The planned deal, in combination with Liberty's existing industrial foot print in the UK, would establish the group as one of Britain's most significant steel and engineering employers. Speciality Steels is not considered a downstream business linked to Port Talbot and Tata Steel's strip products business. It produces around 225,000 tonnes of steel, comprising around 3% of Tata Steel Europe's total output. It has a £275m turnover and is Tata Steel Europe's only Electric Arc Furnace (EAF) based business, specialising in carbon, alloy and stainless steels for demanding applications like aerospace, motorsports and oil and gas. KPMG, the accountancy firm is running the sale and according to Sky News, documents "forecast a turnaround in the fortunes of the division, with an £81.4m pre-tax loss in the year to March 2016 expected to become a £32.9m profit by the end of its 2018-19 financial year." Liberty House is an international steel and non-ferrous metals group and has already taken on plants in Newport and Scotland. It also acquired parts of Caparo's advanced engineering products and precision strip businesses in the West Midlands. The company said that the acquisition would be a significant step in realising Liberty's GREENSTEEL vision which promotes widespread melting and upcycling of UK domestic scrap metal, using arc furnaces powered from renewable energy sources. Sanjeev Gupta, executive chairman of the Liberty House Group, said: "We look forward to working with Tata Steel over the coming weeks to complete this hugely important milestone transaction. We recognise the world-class skills of the Speciality Steels workforce and are eager to join with them to develop the business and increase market share, both domestically and internationally using our global presence. As part of that process we will now engage fully with the trade unions and the local community. We are counting on their full support." Bimlendra Jha, CEO of Tata Steel UK, added: "The speciality steels business is independent of the pan-European strip products supply chain and today's announcement is in line with the overall restructuring strategy of the UK portfolio. "This is an important step forward in seeking a future for speciality steels and we have reached this stage thanks to the efforts of employees, trade unions and management. We now look forward to working with Liberty on the due diligence and other work streams so that the sale can be successfully concluded. "We will continue to work closely with trade unions and will communicate any material news on this issue to the employees on an ongoing basis."